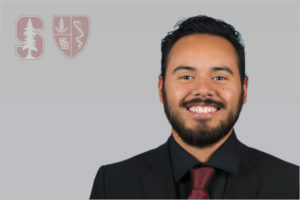 Michael Barreiro received his bachelors degree in Athletic Training from San Diego State University and joined Stanford August of 2017. Having worked football, softball, men’s and women’s soccer during his two clinical rotations in San Diego, Michael was also hired on as the Lead Athletic Trainer for a professional performing arts group this past summer called the Madison Scouts. Additionally, Michael is very passionate about promoting the profession of Athletic Training in a professional manner with the use of photography and cinematography via social media. Michael currently sits on the Far West Athletic Trainers Association (FWATA) Public Relations Committee as well as History and Archives Committee. Michael is also skilled in several musical instruments and enjoys playing music in his free time. Looking at the trend of overuse injures in the Marching Arts to help bring more awareness and preventive medicine to the performers of Drum Corps International.